resolution88 is a boutique consultancy specializing in ‘Social License’ solutions for the extractive industries. resolution88 advocates that earning Social License is essentially a matter of cultural recognition and economic development. Companies want to operate in peoples’ backyards with irreversible changes to natural and social landscapes, some induced by industrial development, and some occurring anyway. In return, local people want economic opportunity whilst preserving their idiosyncratic cultural norms and local environmental integrity. Local Level Agreements (LLAs) are key to securing mutual obligation, long-term commitment and certainty for communities. While consistency with IFC social performance standards is an essential prerequisite for securing regulatory and community consent and Equator Bank financing, embedded social performance capability secured by LLAs at asset level are the real key to securing Social License. resolution88 offers social risk analysis, advice on social performance policies and procedures, LLAs, site-based training, board-level assurance reviews and more to secure Social License success. "resolution88 is acting with resolve to find common future interests"
Bruce has 40 years of worldwide field experience in the mining industry. 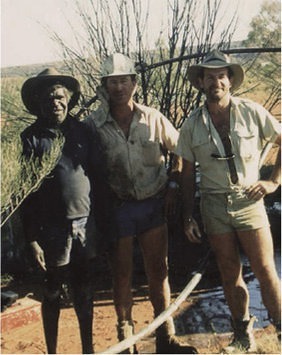 In his early career as a geologist Bruce developed an affinity for working with land-connected peoples and as exploration General Manager for Northern Australia he established Rio Tinto’s first exploration access agreements on Aboriginal lands. For the last 18 years Bruce has been at the forefront of developing social performance as a professional discipline in the extractive sector. 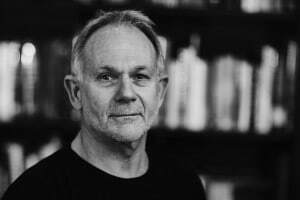 For seven years Bruce was Global Practice Leader – Communities and Social Performance at Rio Tinto and is currently an Adjunct Professor at the Sustainable Minerals Institute, University of Queensland, Australia. Bruce advocates and teaches an approach based on mobilising the unique competitive advantage of each business itself, seeking insights through fieldwork and delivering value to businesses and host communities. He has a unique ability, born of many years’ worldwide field experience and negotiation of LLAs, to help clients develop business-driven Social License success. Bruce can “walk and talk” mining and his career credentials give him direct access to senior executives. If senior leaders are serious about securing long-term social license, Bruce can help their organization achieve it. "resolution88 is the converse of Catch 22"